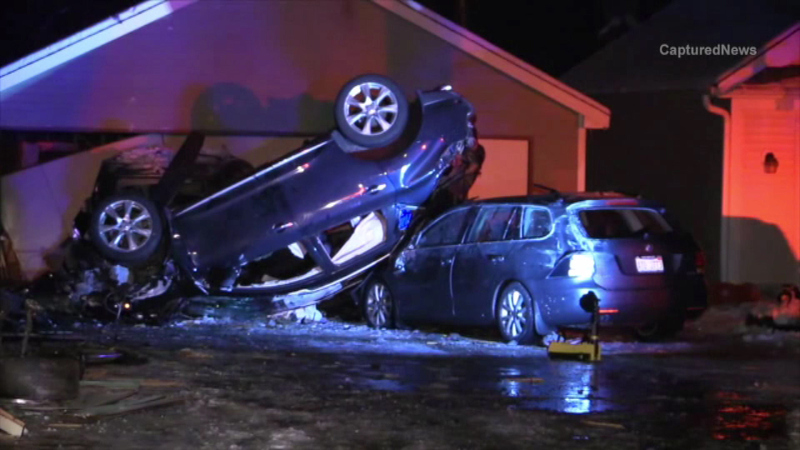 Police say a car plowed into a home on Pine Street in Batavia, flipping over and landing on two other cars, after the driver lost control. The driver was trapped in the car for 45 minutes as firefighters cut her out, but is not seriously injured. None of the five occupants of the home were injured. A city inspector deemed the house and the garage structurally sound.